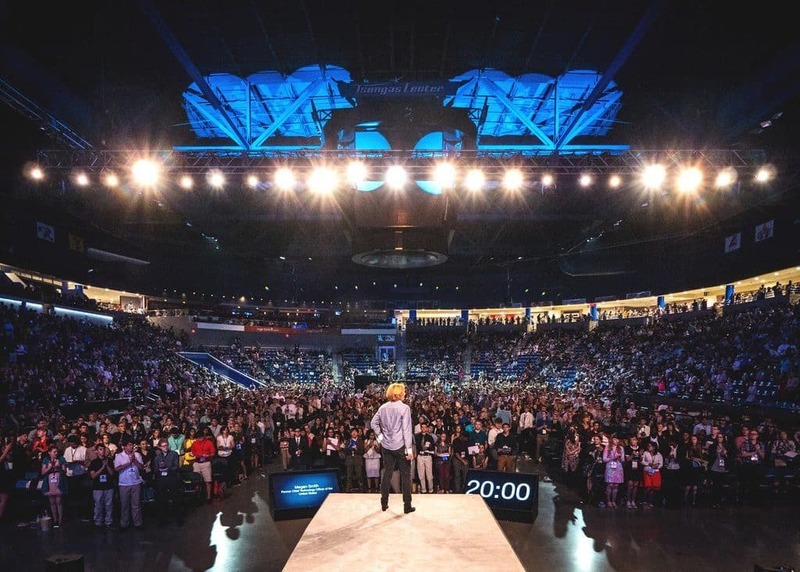 Three thousand high school students from across the United States recently trekked to a university sports arena here to attend an event with an impressive-sounding name: the Congress of Future Science and Technology Leaders. Many of their parents had spent $985 on tuition. The students all had good grades. But many of them were selected for the event because they had once filled out surveys that they believed would help them learn about colleges and college scholarships. Through their schools, many students in the audience had taken a college-planning questionnaire, called MyCollegeOptions. Others had taken surveys that came with the SAT or the PSAT, tests administered by the College Board. In filling out those surveys, the teenagers ended up signing away personal details that were later sold and shared with the future scientists event. Consumers’ personal details are collected in countless ways these days, from Instagram clicks, dating profiles and fitness apps. While many of those efforts are aimed at adults, the recruiting methods for some student recognition programs give a peek into the widespread and opaque world of data mining for millions of minors — and how students’ profiles may be used to target them for educational and noneducational offers. MyCollegeOptions, for instance, says it may give student loan services, test prep and other companies access to student data. These marketing programs are generally legal, taking advantage of the fact that there is no federal law regulating consumer data brokers. They also face little oversight because federal education privacy laws make public schools, and not their vendors, directly responsible for controlling the spread of student data. But the handling of student surveys is receiving heightened scrutiny, particularly in the wake of revelations about Cambridge Analytica, a voter-profiling company that siphoned off the data of Facebook users who took a personality questionnaire. In May, the Department of Education issued “significant guidance” that recommended that public schools make clearer to students and their parents that surveys with the SAT and the ACT, a separate college admissions exam, are optional. The notice emphasized that pretest surveys could provide opportunities for families to learn about college choices. But it also reminded schools that parents had the right to inspect all surveys in advance. Parents also have the right to opt their children out of any school-required surveys that touch on sensitive topics like religion, family income or politics. Over the last few years, several states have passed laws that might also limit the spread of some student profiles. The laws generally prohibit online educational vendors to schools from selling students’ personal data or using it for targeted advertising. For high school students who want to receive materials from colleges and scholarship organizations, nonprofit college admissions testing services, like ACT and the College Board, offer optional surveys. Many colleges, universities and scholarship organizations buy such survey data to pinpoint prospective students. More than three million students who graduated in 2018 took surveys with the ACT, the SAT or the PSAT, which is a college scholarship test given to high school juniors. The College Board charges educational institutions 43 cents per student name. Starting in September, the ACT will charge 45 cents per name. As marketing materials on the ACT site put it: Purchasing the names of “racial and ethnic minorities is a great way to increase diversity at your campus.” Other survey services, however, sell students’ personal information far beyond colleges. Scholarships.com, for instance, asks students for their name, birth date, race, religion, home address and citizenship status and whether they have “impairments” like H.I.V., depression or a “relative w/Alzheimer’s.” Scholarships.com also has a subsidiary, American Student Marketing, that describes itself as the “exclusive broker” of the student data collected by Scholarships.com, offering it to marketers of student loans, credit cards and smartphones.